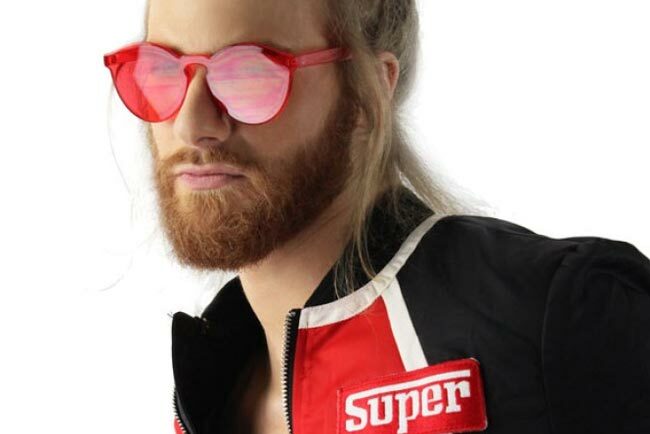 Unless your name is Elton John or Karl Lagerfeld, you probably can’t pull off sunglasses at night without being judged for committing a fashion faux pas. For those of us that don’t need to hide our identity from paparazzi, it’s not that easy to walk into a nightclub with shades on without getting frisked by security or suspiciously eyeballed all night. But, let’s be honest – how many times do we buy a certain style of sunglasses because it complements our face without checking to see if it comes with UV protection? Today’s trends in men’s sunglasses are more about making a fashion statement over being worn as a visual aid against glare. Here are a few tips and tricks so you can get away with wearing sunglasses at night (and not look crazy). Choose lenses that reveal the silhouette of your eyes. Politicians are usually criticized for wearing sunglasses during election rallies, and eHarmony advises against wearing sunglasses in profile photos. Why? 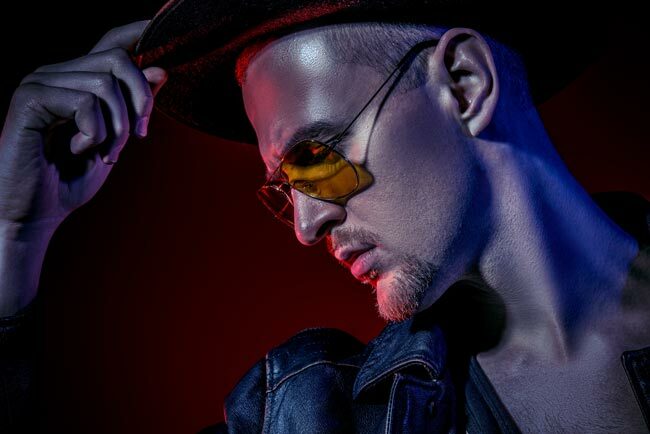 People generally feel less trustworthy about a person if they can’t see their eyes, which is one of the reasons why wearing dark sunglasses at night is perceived as sketchy. Aside from what other people think, it’s impractical and unsafe to wear dark lenses when your vision is already obscured in the evening. Choose lenses with a light to medium transparency so that people can at least see your eyes through a semi opaque lens. Avoid highly reflective lenses, like mirrored sunglasses, which only distract more attention from your eyes. Yellow-tinted aviators are great for adding a little color to any outfit. These super sheer sunglasses make a great alternative for the traditionally mirrored aviators. Not all evening occasions are appropriate for sunglasses. We’ve seen it a million times in movies when that one person shows up to a party in the wrong dress code. There’s nothing worse than feeling like you’re the only one that’s overdressed, underdressed or just oddly dressed. Always remember to use your discretion wisely before showing up in shades. If you feel like you might offend someone (the same way wearing hats indoors can be disrespectful), it's probably best to wait for another opportunity. If you want to stay on the safe side, stick with the nightlife scene, outdoor events and festivals. The advantage to wearing sunglasses for parties: you can get away with wearing wild and crazy frames to match your party attire, like shutter shades and pinhole sunglasses. If you’re looking for a rare statement piece, this is it. Just flip these shades open for lens-free novelty sunglasses for men that are a definite conversation starter. You don’t always have to wear them on your face. This might sound like it completely defeats the purpose of sunglasses, but keep in mind you already don’t need them to protect your eyes. You’re choosing this accessory to make a fashion statement, which means you don’t have to wear them the conventional way. 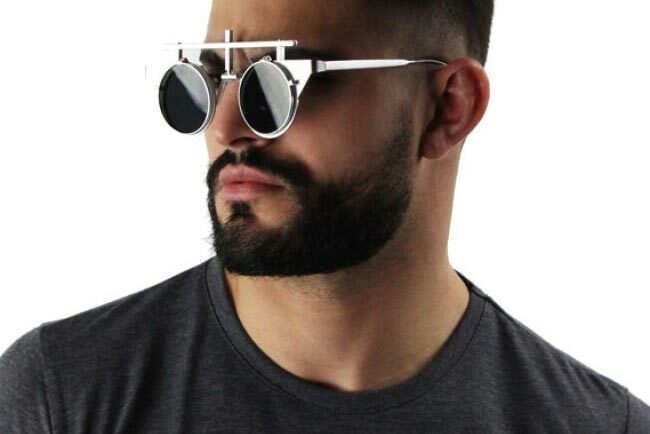 This is also another way to show off your sunglasses at night if you’re still not comfortable with wearing them on your face. Instead, play around with how it looks as a shirt accessory by hanging them from your neckline or shirt pocket. If you’re a guy with medium to long hair, try wearing them on top of your head as a hair accessory that’ll also prevent those annoying flyaways from falling into your eyes. These deceivingly simple sunglasses will add a pop of color to any neutral shirt, and still sheer enough to be worn on your face in the evening.